"An Introduction to Fly Tying"
The normal evolution a fly fisher goes through usually includes fly tying sometime after the first year or two. Some take up fly tying to cut the costs of all the flies they seem to leave in bushes and trees everywhere they go. Others want to try it to increase their involvement in the finer details of the sport. 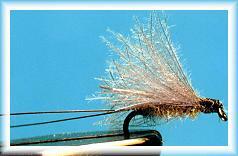 No matter what your reasons are, tying flies seems to be an integrated part of the whole fly fishing picture. There have been perhaps more volumes of books and articles written on the art of fly tying than any other aspect of fly fishing. If you subscribe to any of the fly fishing magazines, you have encountered articles that included fly patterns. 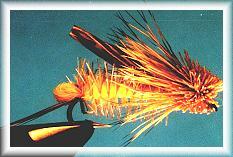 In fact, a few magazines are dedicated to the art of fly tying. Those magazines will enhance the information you find here and I encourage you to consider subscribing to one or two. Like I said earlier, there are a lot of books about fly tying on the market. I won't try to duplicate those efforts, but rather attempt to show you some of the basics. I won't try to show you specific patterns, but you'll learn a few in the course of this instruction. 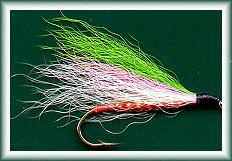 I will try to help you solve some of the most basic but troubling problems new fly tyers usually encounter. As with any form of art, there are usually several ways to do the same thing that will produce the same outcome. In some cases, I'll try to show all the ways; in others, I'll attempt only the ones I've found to be the fastest and easiest to master. There are some tools you can make yourself, and others you will need to purchase. When possible, I'll try to describe or show how to make the tools I think you can make for yourself without difficulty. I'd like to encourage you to become a Friend of FAOL Your involvement as a "Friend of FAOL" will help support this and future courses this magazine wants to offer. In the long run, your involvement will ensure future courses of instruction that you and others will be able to use to enhance your pleasure and involvement in this fine sport. The first thing you need to know about tying your own flies is a little bit about the flies themselves. Some of you will probably know this information, but there are a few who don't; so I'll give you a refresher course. Dry flies are simply flies that float. They usually represent adult insects that are emerging (breaking out of their nymphal shuck), drying their wings so they can fly away, or returning to the water to lay eggs. Since dry flies are the most fun to use (you get to see the fish take the fly), more fly patterns have been designed as dry patterns than any of the rest. 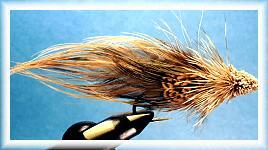 Although some folks separate emerger flies from dries, since they usually float, I'll include them with dries. 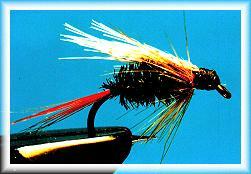 Wet flies are simply flies that don't float. They usually represent nymphs and pupae that are swimming toward the surface of the water or trying to break through the surface film to become adults. Since many insects become lunch menu items during this stage of their existence, it's useful to know how to tie wet flies. Nymphs represent the nymphal or larva stage in an insect's life cycle. Since insects spend most of their life in the nymph or larva stage, this is an important stage in terms of fish forage. I've heard that up to 95 percent of a stream fish's diet is nymphs and larva in some form. Need I say more about the importance of this type of fly? 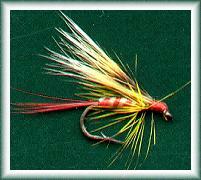 Streamers are flies that represent minnows, crayfish, leaches and a variety of other life forms that swim under the surface of lakes and streams.Since fish often eat minnows, leaches and crayfish, this is an important type of fly to learn how to tie. 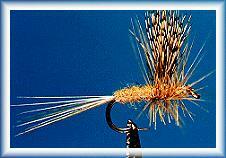 In the weeks ahead, I'll show you patterns and methods for tying all of these types of flies. It will be simple and easy so don't give up yet. It's easier than you think. Next week we'll look at some of the hooks you'll need to start tying your own flies.